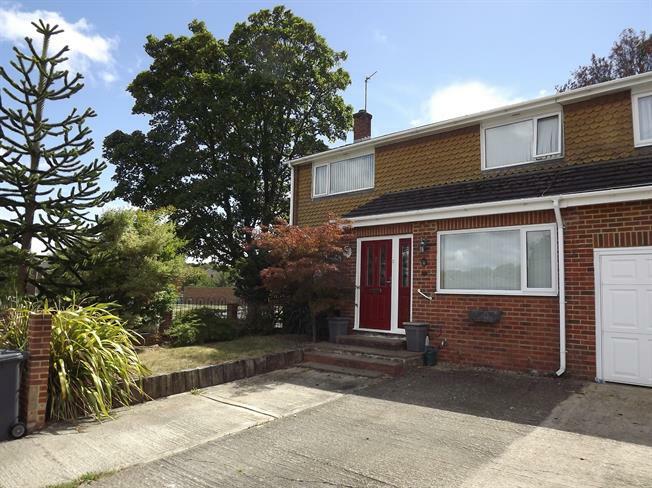 4 Bedroom Semi Detached House For Sale in Basingstoke for Asking Price £400,000. A well presented four bedroom semi detached house that boasts; a 20 foot living room that faces to the front, a modern 15 foot kitchen with a five burner gas hob which opens to a 24 foot extension/ family room with French doors out to the garden, a downstairs bedroom/study, a spacious entrance hall, and a downstairs W/C with room for a utility area. The first floor comprises three double bedrooms and one single bedroom (ideal for a nursery or office), and a recently refitted bathroom. Outside there is an enclosed garden which has good width, it has a decked area, artificial lawn and a seventeen foot summer house with power and lighting. To the front there is parking for 2 cars and a front garden. Other benefits include gas central heating and double glazing.